Some countries are so hugely associated with the things they’re known for, you can’t help but think of those countries when it comes up. When someone mentions croissants, you’ll most likely think of Paris. And when someone mentions cowboys – you’ll probably think of Texas. Texas is a special and unique state. It is the second largest state in the United States in both area and population. You’ve probably heard the saying that everything is bigger in Texas, and it’s true. Texas has large sprawling landscapes, massive portion sizes, and big-hearted people. It’s known for its lifestyle, its food, its music, and so many other things you can only truly understand if you’ve been there. It’s hard to sum up the great state of Texas in words, so we’ve gathered together a bunch of pictures of things that you can only find in Texas. This list is sure to bring a bit of nostalgia to Texans and a desire to visit the Lone Star State to everyone else. Two things that Texas is proud of are big pickup trucks and horses. 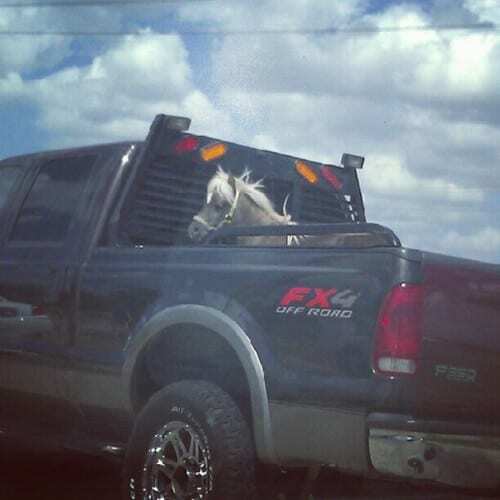 So when you’re driving down the highway and you see a little pony hanging out in the back of a Ford pickup, you know you’re in Texas. As animal lovers, we are a little bit concerned for the wellbeing of this cute little pony, but we just have to assume that the driver knows what they’re doing and the pony will make it to the destination in one piece. Texans tend to like hunting, and all the gear and paraphernalia that comes along with it. And when you really love something, you want your kids to be able to be a part of it with you. 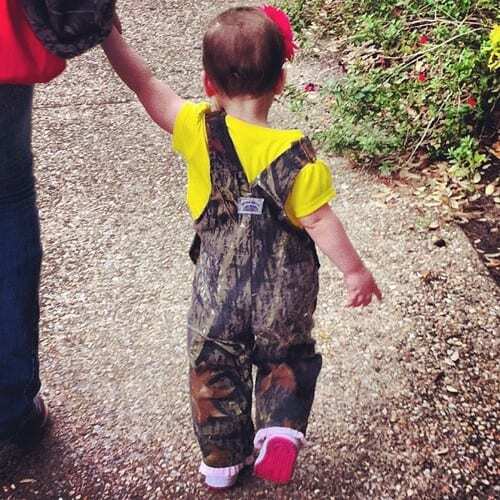 So for someone who thinks that camouflage is the peak of fashion, it only makes sense that they’re going to go ahead and dress their kids in it as well. This little gal is a bit young for hunting now, but give her a few years and she’ll be out there with her parents. 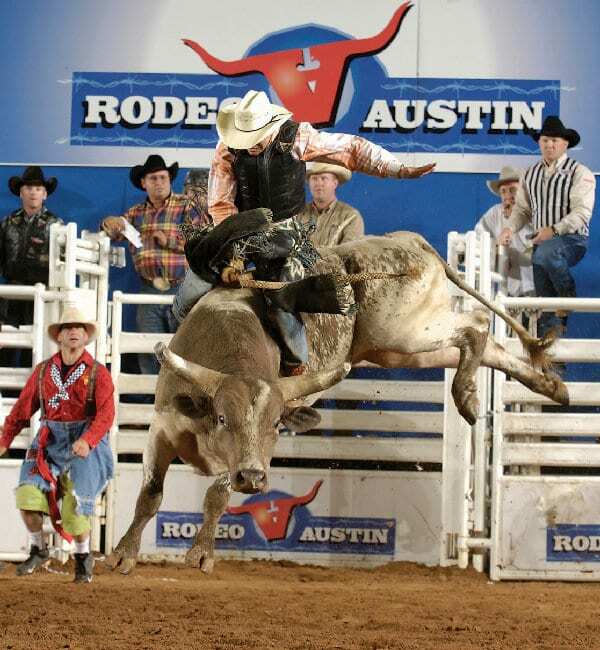 Did you know that the official state sport of Texas is rodeo? It’s not only unique, it’s also entirely fitting for one of the few states where real rodeo exists. For those who don’t know what rodeo is (clearly not Texans), it’s a competitive sport based on the skills required by cattle herders. It consists of a number of events including roping, barrel racing, bull riding, and many others, and it takes a great deal of training and skill to be successful. 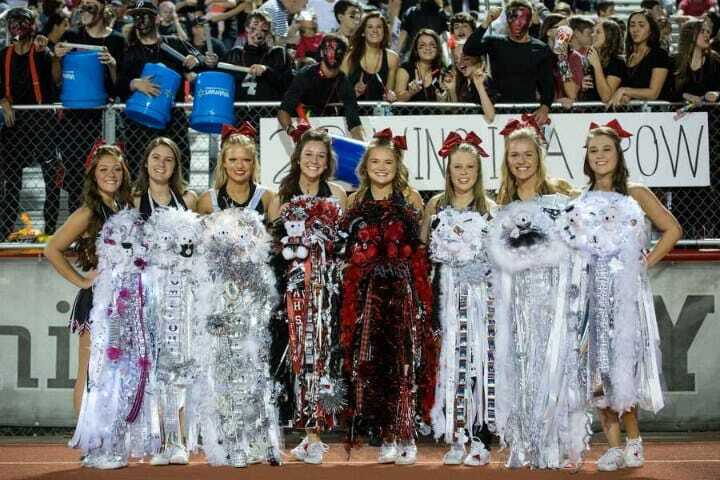 Homecoming mums are a unique Texan tradition. During homecoming, high-schoolers receive giant flower corsages, made of silk flowers, feather boas, and trinkets that represent the teenager’s personality and interests. Sometimes, they even light up. Mums can be given by your date, or by friends or family members, and while girls wear them as pins, many boys wear smaller mums as arm garters. When it comes to mums, the bigger the better – these huge pins can weigh up to 20 pounds! There aren’t too many places left in the world where people still wear spurs. Texas is one of those places. Spurs are metal pieces worn on the back of boots used when riding horses to direct the horse to move in a certain direction. Spurs can be simply functional or stylish, and in Texas, where cowboy boots are commonly worn, people frequently wear spurs along with them. 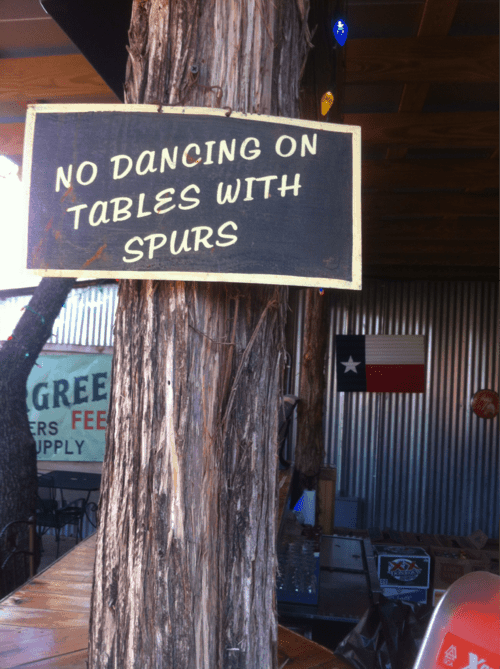 So it makes sense that this bar would kindly request that people remove their spurs before hopping up on the tables. Texas barbecue is world famous because it’s incredibly delicious. It’s gained a reputation around the world and it’s not uncommon to find Texas barbecue restaurants far away from the state itself. 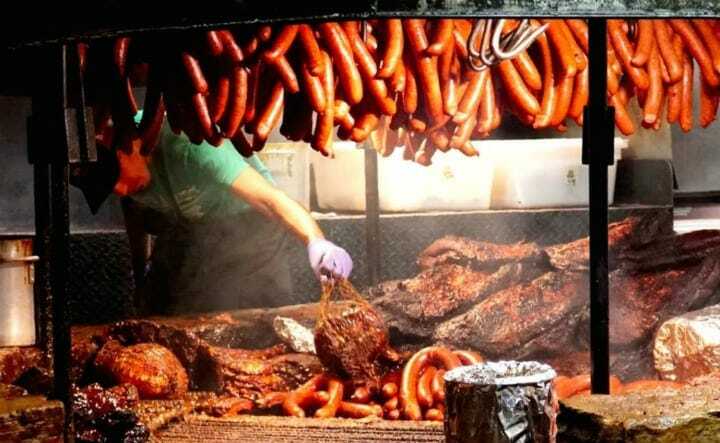 Texans will tell you, however, that the only real Texas barbecue exists in Texas. There are four distinctive styles of Texas barbecue that vary by location. These styles are typically divided into barbecue from East Texas, West Texas, South Texas, and Central Texas, each unique with its own special flavors. Crazy weather may not be unique to Texas, but it certainly is a regular occurance there. It can go from snowing to sunny and warm in less than one day; you can wake up to tornadoes and hail and watch the weather become pleasant enough for a walk in the park in the afternoon. You really don’t know what to expect in this state. In fact, temperatures in Texas vary greatly, and have been recorded as low as -23°F and as high as 120°F. 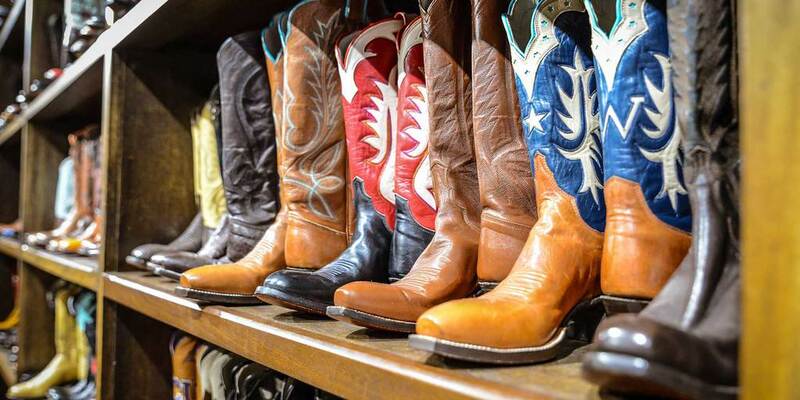 If you look around in Texas, you’re bound to see quite a few people walking around in cowboy boots, and it’s certainly no secret that Texans love their boots. In fact, in 2007, cowboy boots were officially added as the official state footwear of Texas, thanks to a seventh grade class who thought it should be so. They come in a variety of colors, patterns, and styles, and you can get yours custom made by a number of very talented and famous bootmakers. 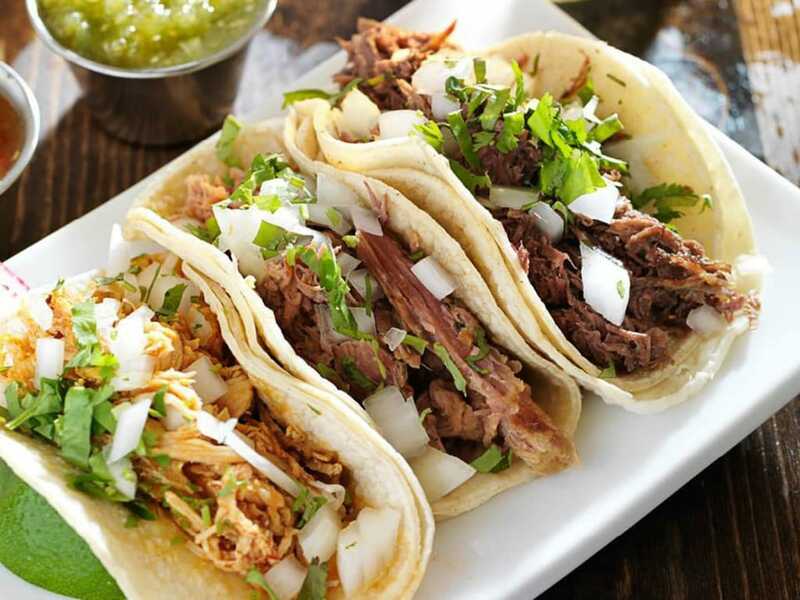 Sure, tacos may have originated in Mexico, but they have a long history in Texas as well. Texans can eat tacos for every meal of the day – in fact, breakfast tacos are extremely popular as well. Everyone has their favorite taco spot, and taco trucks are found on street corners in abundance. We can’t blame Texas for their love of tacos – they are delicious, customizable, and inexpensive. Texans also have a special cuisine of their own: Tex-Mex, which is basically Mexican food mixed with Texan flair. Manners are important in the south, and Texas is no exception. Unlike in some other, more abrasive places, such as New York, Texans avoid honking their car horns at other drivers as much as possible. And it doesn’t stop there. In Texas, people try to always be polite and respectful, saying things like, “Yes ma’am,” or “No, sir.” These gestures may seem small, but they are an important part of what makes Texan culture so special. 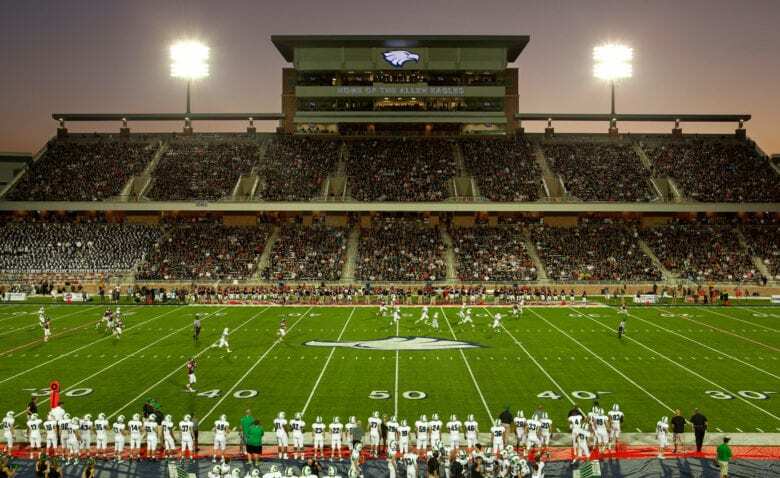 As we’ve all learned from the teen drama series Friday Night Lights, football is life in Texas. On Friday nights during football season, everyone heads to the high school football games, and some smaller towns even shut down when their team is on the road. Many towns have massive stadiums that even rival the size of college fields for their high school team, and some even have jumbotrons to announce the score. Playing football in Texas is pretty serious business! 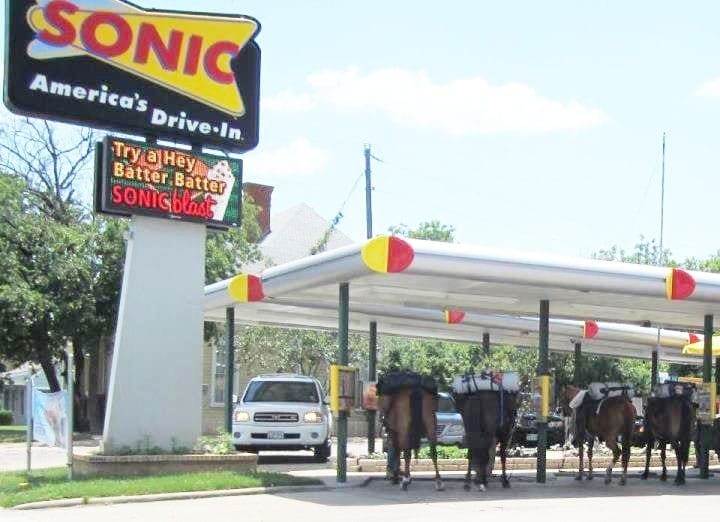 There aren’t too many places in the United States where you can drive up to a drive-in and see a bunch of horses hanging out while their humans are grabbing a burger. This picture may look surprising, but it’s not such a weird occurrence if you live in the Lone Star State. Texas has quite a history with cowboys and horses, and even though we now have cars and trucks, there’s still plenty of room for the good old-fashioned horse. 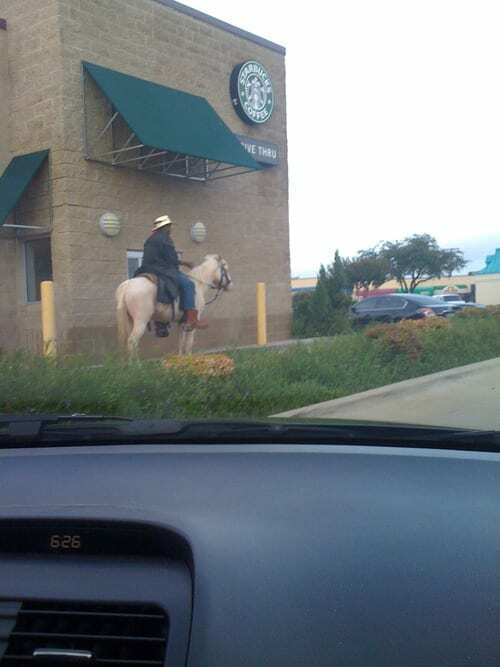 Luckily for the guy pictured here, this Starbucks drive-thru serves all kinds of people, whether they are in a car, a truck, or on horseback. It makes sense, too, because he probably would prefer not to leave his horse outside while he goes in to grab a Frappuccino. People in Texas don’t even take a second look when they see someone riding by on a horse, and that makes them pretty unique. Where else would you be able to get away with this? 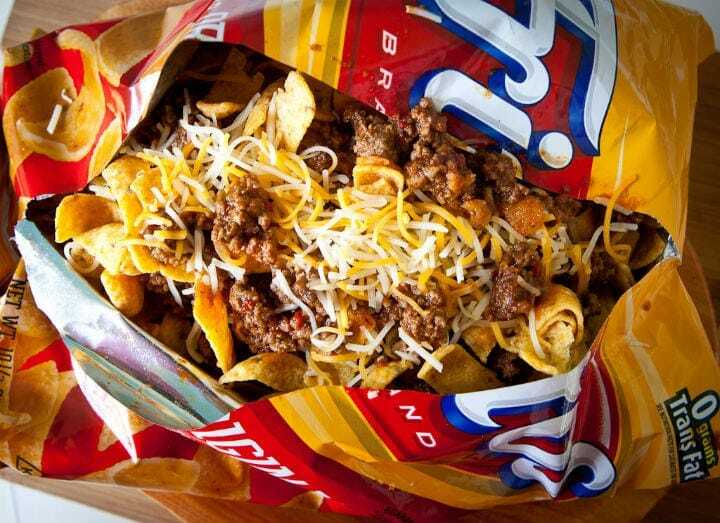 Frito pie isn’t really a pie, but it really is a delicious meal that you can get in the southern United States. It’s made from chili, cheese, and Fritos corn chips (or you can substitute other corn chips, but it’s just not the same), with the addition of salsa, jalapenos, beans, sour cream, and any other toppings that suit your fancy. It can be prepared in a pan but many people prefer to make it right in the Fritos bag. Texans know that there is more than one way to get from point A to point B. While in most states, people tend to use a car or maybe a bus, this guy is riding a bull right in the middle of the road. This is not a sight you’re going to see many places, and luckily, Texas is one of them. 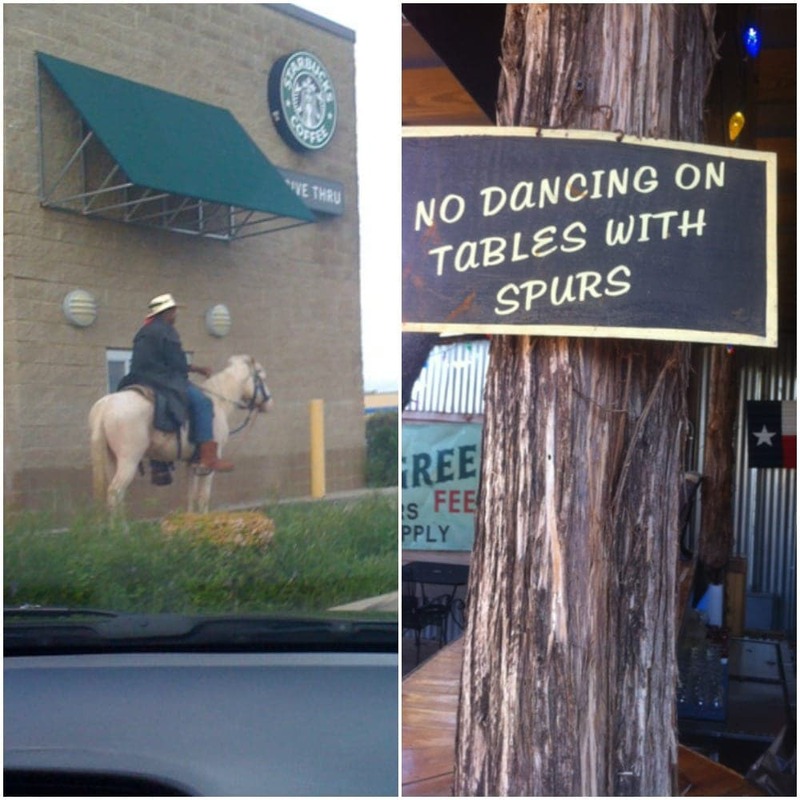 Perhaps he’s preparing for a rodeo, or maybe it’s just a regular Tuesday afternoon in Texas. We’ve already mentioned that there is a lot of variety in the weather in Texas, and although they do occasionally get snow, the state is a bit too far south to have enough snow for a real snowman. 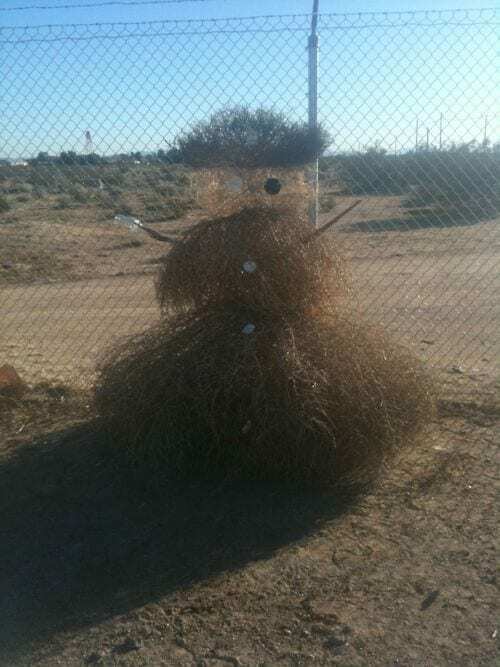 So, Texans get creative, building a snowman out of tumbleweed! There certainly is no shortage of this stuff blowing around in Texas, so why not use it to prove that even though there’s no snow, Texans know how to have fun. When you need to run errands, Texas makes it easier, combining services that might seem unconnected under one roof, and allowing you to get several things done at once. 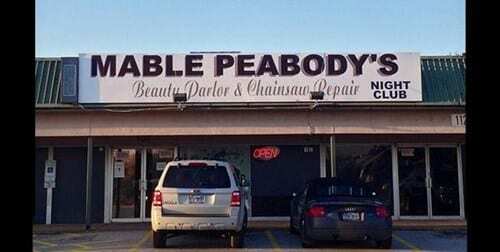 For example, if you need to get a haircut and get your chainsaw fixed, you’re in luck! You can do both of those things at once at Mable Peabody’s, which might also be a night club but we’re still unclear about that. With ideas like this, we’re pretty sure that Texans might really be geniuses. 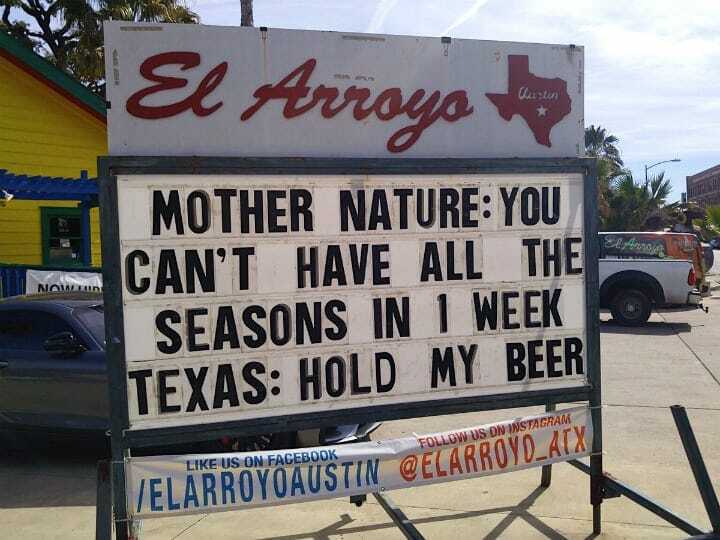 If you live in Texas, you don’t have to stop being awesome as you get older. Take this guy, for instance, who needed a way to get around. 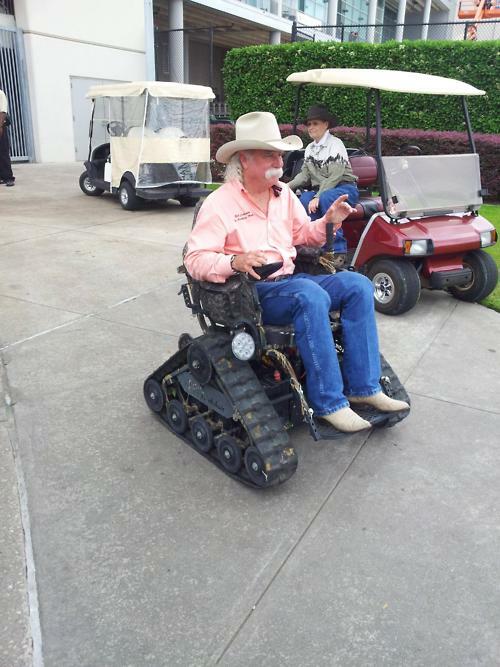 Instead of going for a regular old wheelchair or golf cart, he got a straight up personal ATV mobile. Nothing’s going to stop him from going where he wants to go, not even difficult terrain. Plus, it’s camouflage, in true Texan style, so maybe he’ll even be able to go hunting in that thing. 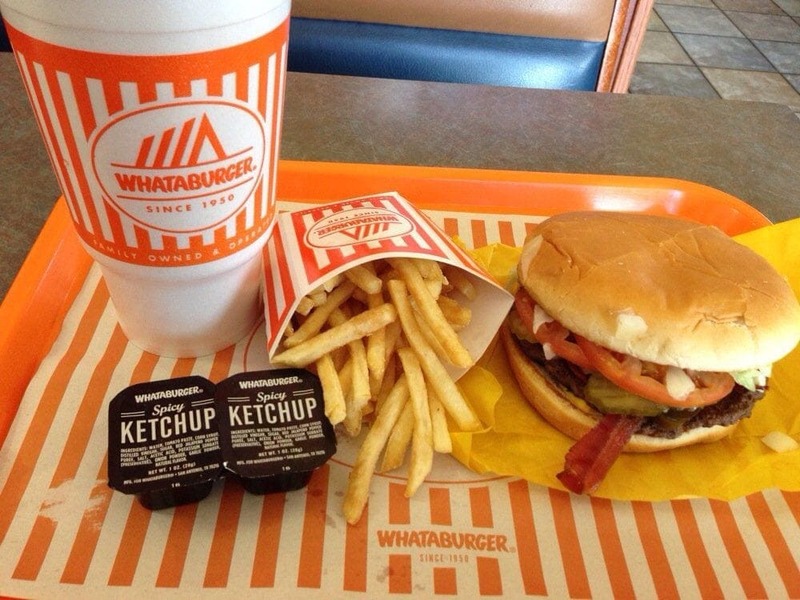 Anyone who doesn’t know what Whataburger is clearly has not been to Texas. Whataburger is a fast food chain based in Texas, that is known for their 100% beef hamburgers. In fact, it’s so well loved that teenagers have even been known to take their senior pictures there! Most Texans will tell you that it’s the best fast food burger in the country, but they’ll have to fight with some California In-N-Out fans to get that title to themselves. It’s not enough to have a Texas license plate if you really want to show your Texas pride while driving around the Lone Star State. 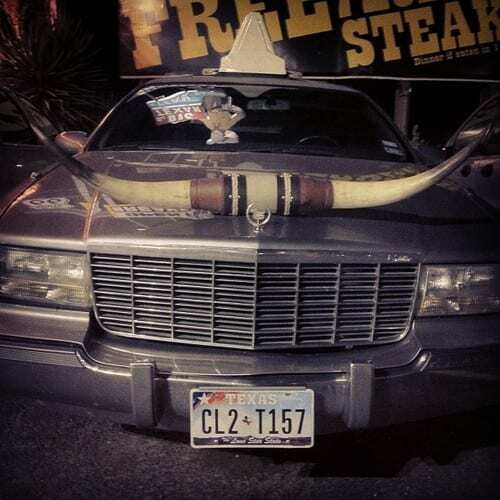 A lot of Texans like to go all out with car accessories, like this Cadillac owner, who put a pair of longhorns on the front of their car. It’s an important symbol, not only of Texas, but also of the University of Texas at Austin football team, which all true Texans support. The bluebonnet is the state flower of Texas. Fields of the blooming blue beauties pop up around Texas in the springtime, and they’re a popular place to go for a family photo or a picnic. You can even see them while just driving along the highway, and they make the view spectacular. 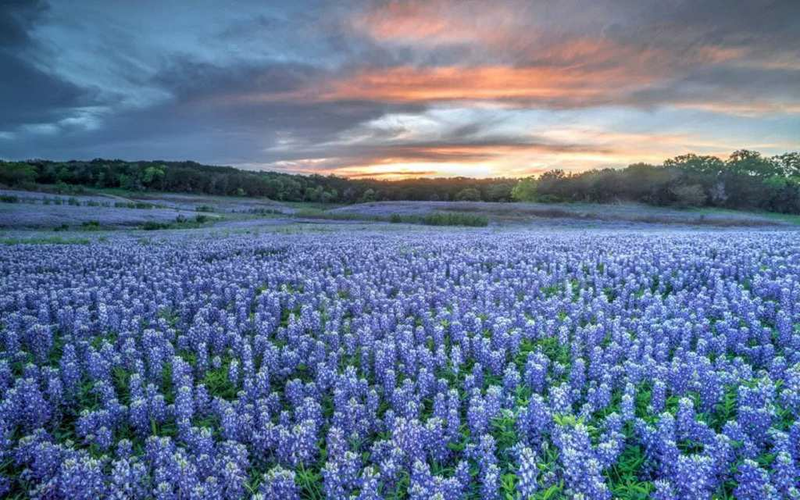 People often make the trek to the nearest bluebonnet field to take in the impressive sight, and it is definitely an annual point of pride in Texas. 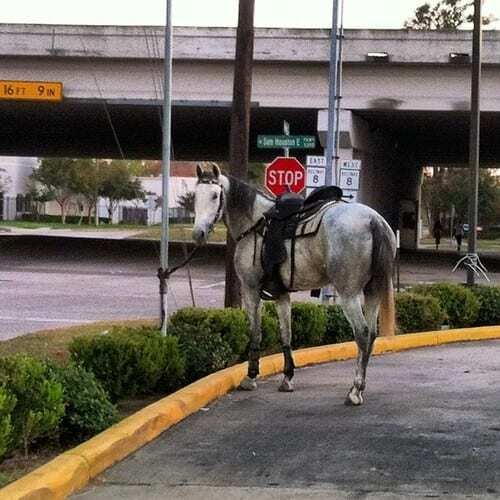 We’ve already addressed the love that Texans have for horses, and the frequency with which they are used for transportation. So when someone comes across a horse just tied to a post in Texas, it’s not the first one they’ve seen, and they don’t usually think too much of it. The horse’s owner probably just had some business to take care of and will be back shortly. It sure is a unique sight, though, that you don’t see in too many other states. You’ve probably heard the phrase, “Don’t mess with Texas,” before, but did you know that it’s actually referring to littering? 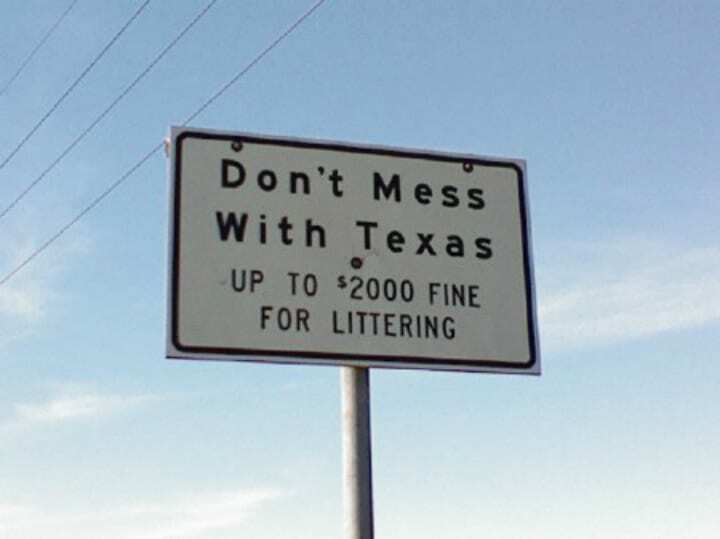 Texans are serious about keeping their state looking nice and clean, and there are huge fines for littering. So while we would always advise you not to mess with the proud state of Texas or their awesome lifestyle, we would also like to discourage making a mess in the Lone Star State, because there could be serious consequences. 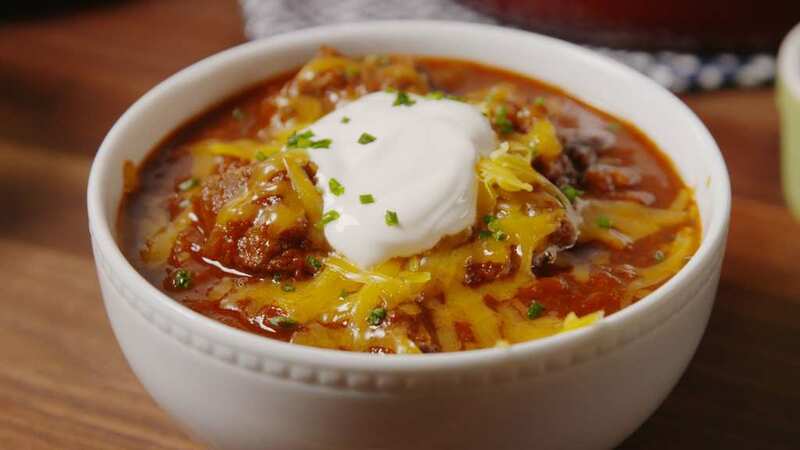 There is an ongoing debate about whether or not it’s okay to add beans to your chili, too. Some people are strictly opposed to it, while others think you should add whatever you want. We’ve already mentioned that the weather in Texas is pretty unpredictable, but winter is usually relatively mild. 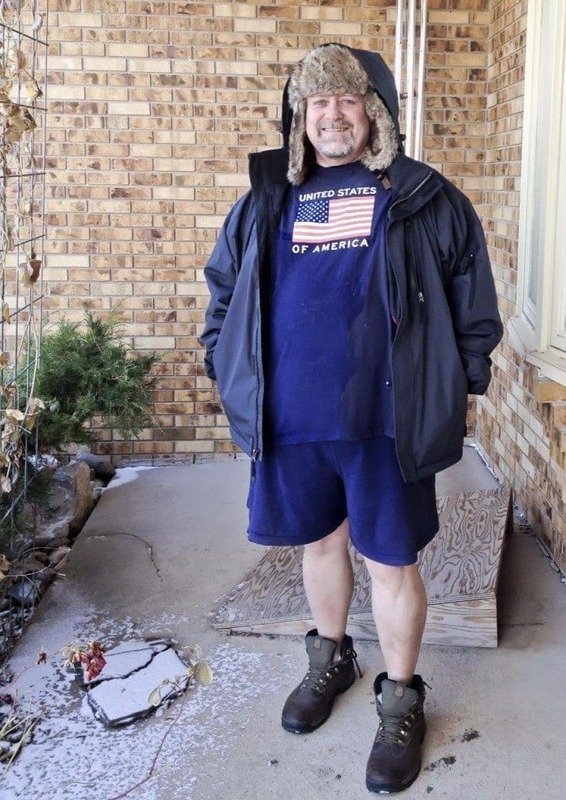 Because of the geography and climate, many Texans don’t even own clothes suitable for cold weather, and even those who do prefer not to overdo it in the winter. So it’s not uncommon to see someone walking around in January in a parka, a winter hat, and a pair of shorts. 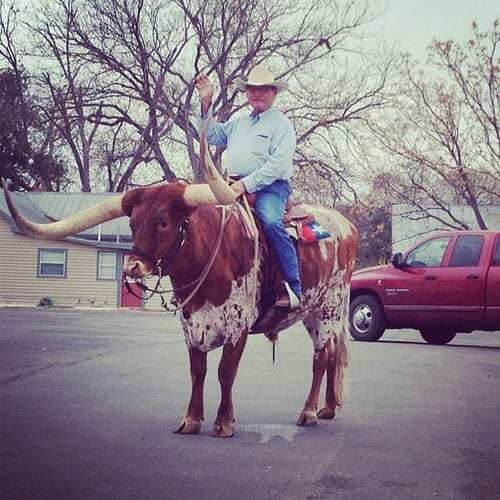 It might look funny to you, but it’s totally common and normal in the Lone Star State. Texas pride runs deep and strong, so Texans like to show the love that they feel for their home state in every way possible. This includes hanging Texas flags everywhere, which is to be expected, but on top of that, you can find Texas shaped everything. It helps that the shape of the Lone Star State is so distinct and recognizable, but we think there’s more to it than that. 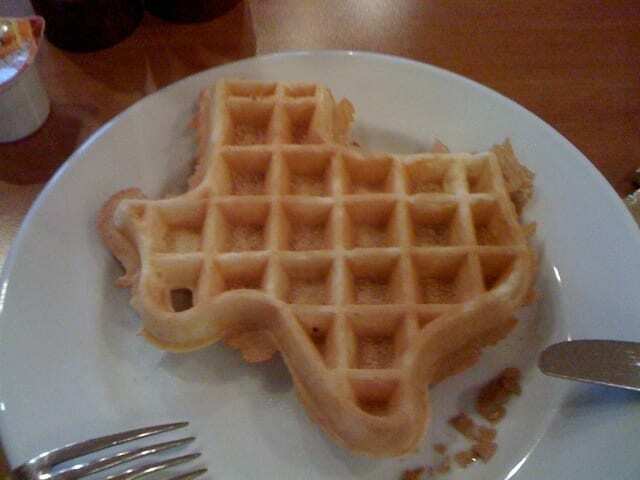 After all, where else can you get a waffle shaped like your state? Summers in Texas are hot, there’s just no way around it. 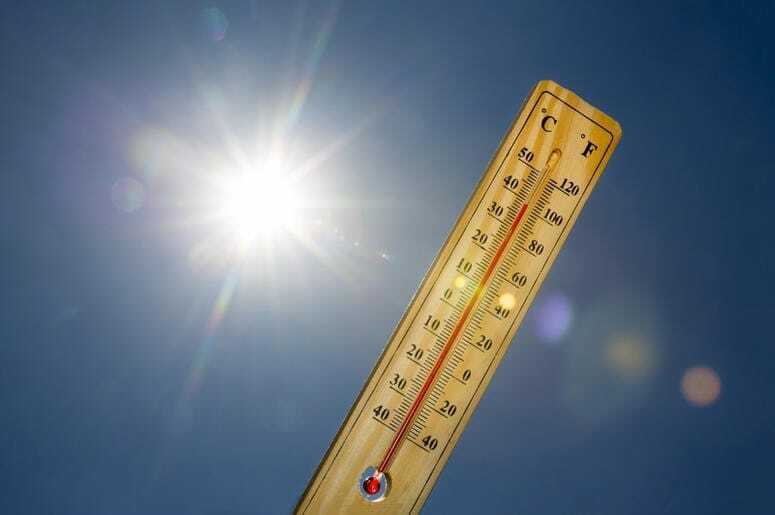 During a heat wave, the temperature can easily hover around 100° for days, so Texans have to learn how to keep cool, even in such extreme heat. One way to do this is by going to a swimming hole or spring, such as Barton Springs Pool in Austin, Texas. Cold beverages sure help as well, as does keeping out of the sun as much as possible. Another way that Texans can keep cool in the summer is by eating copious amount of delicious Blue Bell ice cream. Never heard of it? Blue Bell was founded in Brenham, Texas in 1907 and many people claim that it is the best ice cream out there. Blue Bell makes over 60 different flavors and was the first company to mass produce the now very popular flavor cookies and cream. 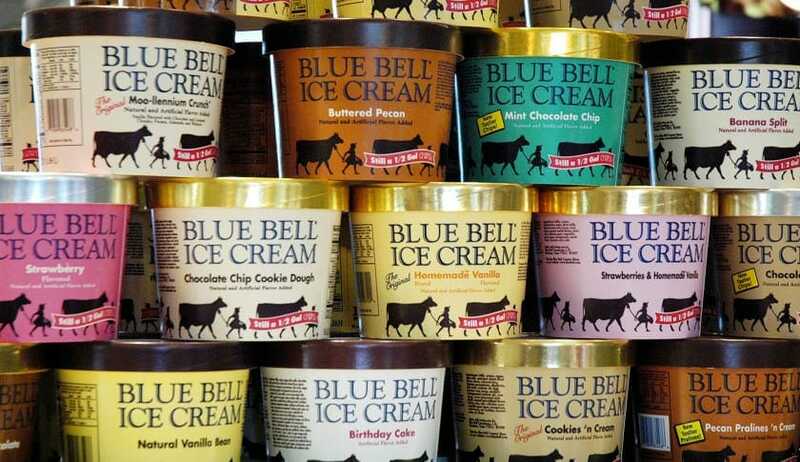 While you can now get Blue Bell ice cream in several other southern states, it’s still best known in Texas. This is not a sign you’ll see in most parts of the United States. 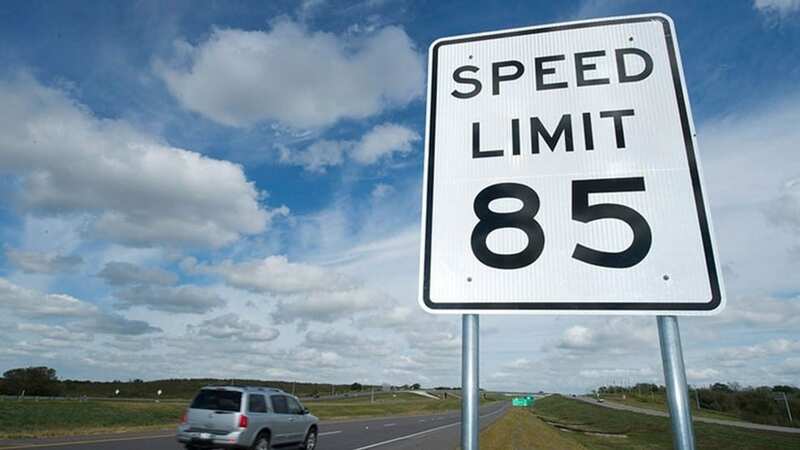 Texans tend to like things bigger, better, and faster, so perhaps that’s why there are stretches of highway here where you can drive 85 miles per hour. 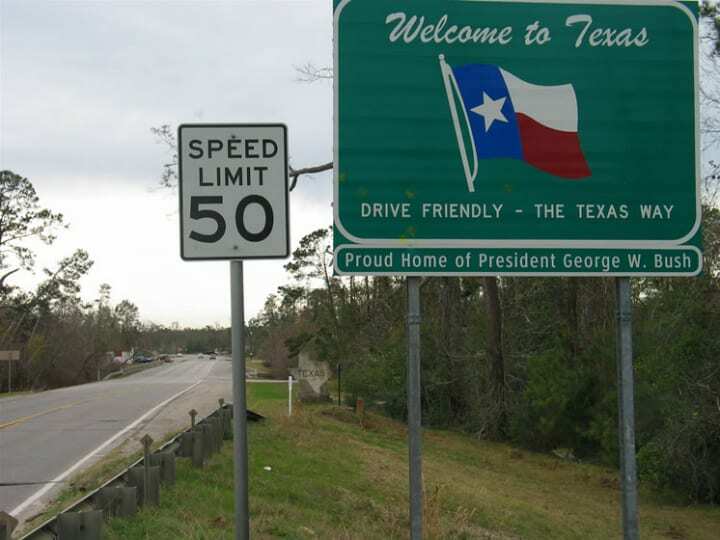 Most states keep the maximum speed limit around 65 miles per hour, so visitors and tourists might be surprised to see how fast they can drive in the Lone Star State. On such long highways, the only way to get where you’re going on time is to drive fast! Every year, on the last Friday of September, the State Fair of Texas comes to Dallas for 24 days. This huge event is thought to be one of the best state fairs in the country, with high attendance and unique events, including a full auto show. The state fair is the place to go to get all of your favorite foods fried, from deep-fried Twinkies and peanut butter and jelly to deep fried coca-cola. 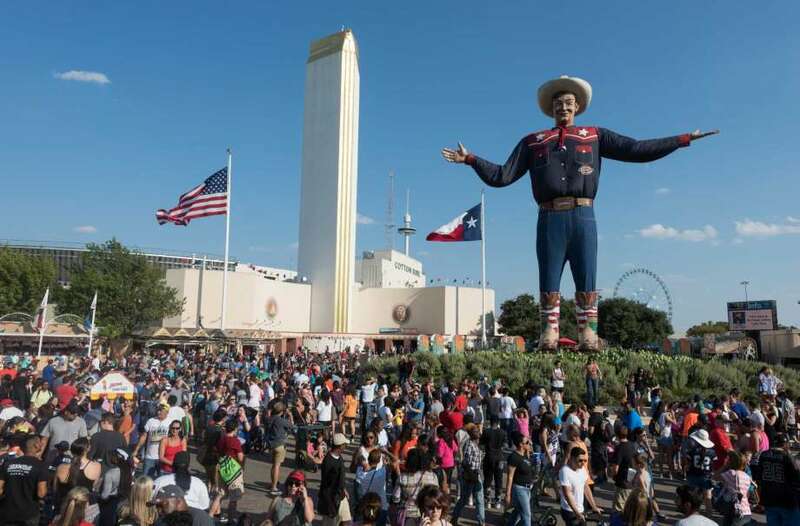 Visitors to the fair are greeted by the giant mascot, Big Tex. We already know that Texans love Mexican food, particularly tacos, so of course they found a way to eat it for every meal of the day, including breakfast. Breakfast tacos are extremely popular across Texas, and everyone has their favorite place to get them. 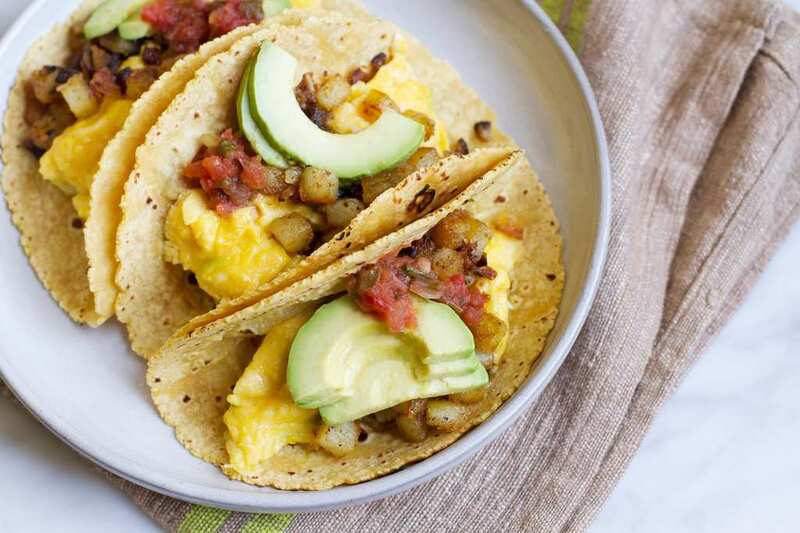 These tacos are typically made with eggs, potatoes, and cheese, along with whatever other toppings might strike your fancy such as avocado or salsa, inside of a corn tortilla, and are without a doubt, a great way to start your day. 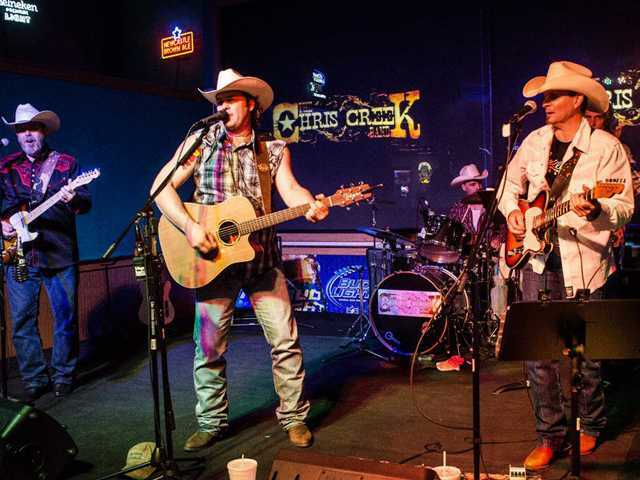 On Saturday nights, Texans often gather at bars, clubs, and music halls to listen to country music. 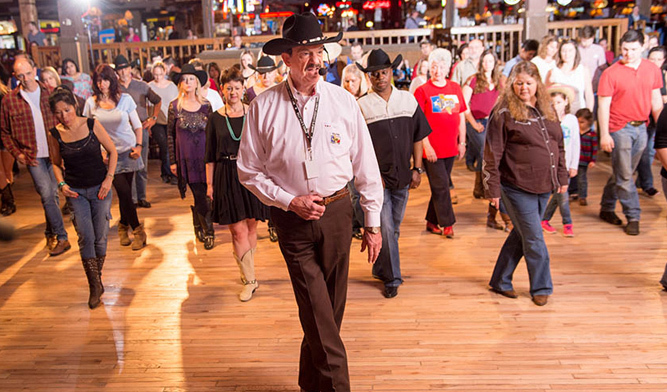 People of all ages come together in their cowboy boots to dance to this catchy music while enjoying a night out. While people in other parts of the country have yet to learn to appreciate the joy of country music, Texans know what’s good, and they also know how to have a good time, so it’s a great way to spend your weekend evenings. Yes, Texas is certainly a remarkable state. 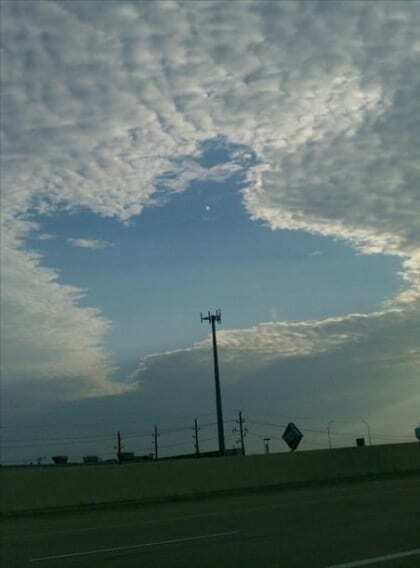 With all of the great things that it is known for, even the sky seems to be smiling down on Texas in this photograph, with a perfect likeness of the shape of the Lone Star State appearing in the breaks between the clouds. And when Texans see something like this, they know that it just means that they were right all along – that Texas is a great state to live in. 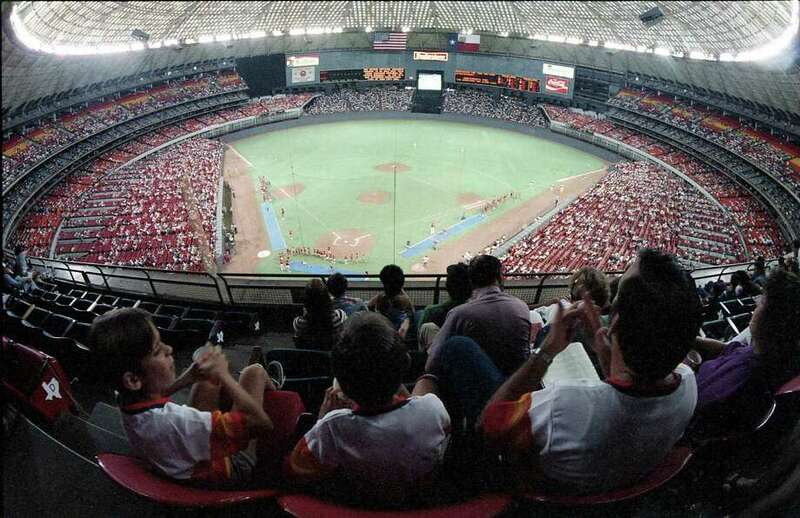 The Astros have been playing baseball in Minute Maid Park since 2000, but the reason we brought up the Astrodome is because the stadium is practically iconic as far as Astro baseball goes. Before they moved to their next park, they’d been playing in that stadium for nearly 40 years, and needless to say fans enjoyed some great memories. Houston was proud to represent Texas in the 2017 World Series when they brought home the trophy in dramatic fashion. Speaking of Houston sports teams that Texans are certainly proud of… the Rockets have been not shabby as of late, and a big part of the reason for that is none other than superstar guard James Harden. 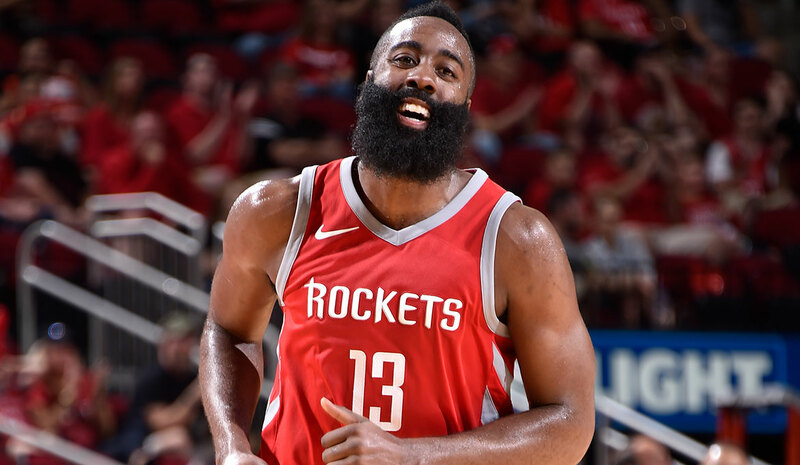 We could talk about past Rocket stars like Hakeem Olajuwon and Clyde Drexler, but Harden is the modern star who’s writing history as we speak with his step back three point shooting and overwhelming talent that’s off the charts. Let’s take a quick break from sports for a moment and veer into another subject that we’ve touched upon briefly – food. We’ve talked about the tacos, but another Mexican-style food that Texans have practically mastered in their own right is queso, short for chile con queso. This elaborate melted cheese dish is decadent and tasty beyond belief, and to be honest our mouths are watering just thinking about it. We highly recommend you check it out. Now it’s time for us to appreciate another form of Texas pride, the kind that comes with a healthy dose of history. 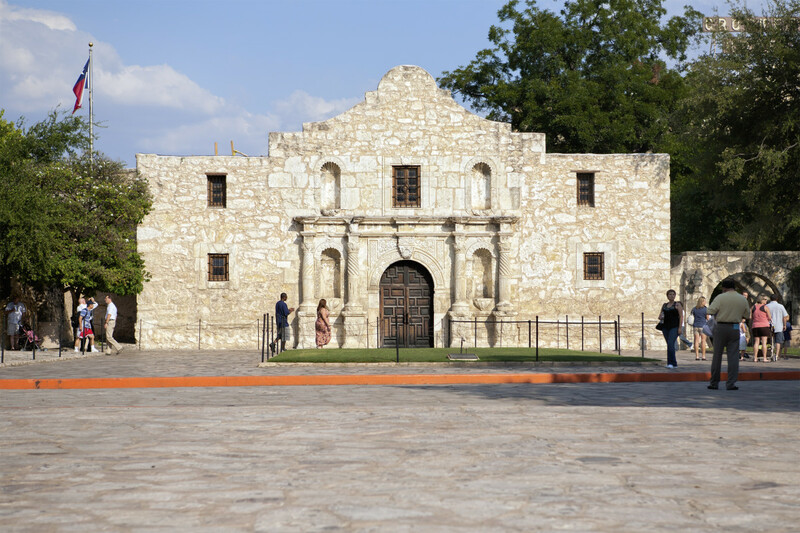 The Alamo, residing in San Antonio, is a landmark that symbolizes not necessarily modern life in Texas, but a rich past that’ll never be forgotten. It is a fortress that was built as a Roman Catholic mission in the 18th century, and it’s one of the most famous places that people come to visit whenever they’re in San Antonio. Now that we’re on the topic of San Antonio, let’s dip back into the sports segment as we talk about a little team called the Spurs. If you think the Rockets are good, the Spurs are on another level. Not necessarily at this current moment, but they’ve won five titles in the last 20 years and Gregg Popovich is considered one of the greatest coaches in NBA history. Oh yeah, and they also had a guy called Tim Duncan who’s arguably a top 10 player of all time. And then there’s the Cowboys. We couldn’t in good conscious talk about sports in Texas and not mention them. If you want to talk about a strong fanbase, these guys are where it’s at. They’re arguably the most popular team in the NFL, and they’ve had some amazing players don their jersey over the years. 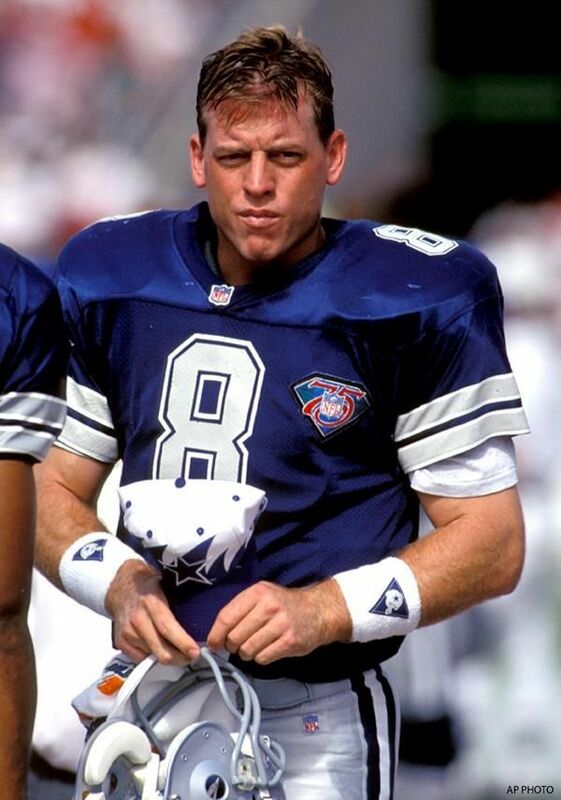 Troy Aikman is an old school example, and then you’ve got the modern day Cowboy stars like Dak Prescott and Ezekiel Elliott. Of course, there’s a reason that the Dallas Cowboys represent Texas in such a unique way – it’s because actual cowboys are synonymous with Texas. If you ask most people off the street what a cowboy is, they’d probably discuss their appearance – a traditional cowboy hat, boots, and a trusty horse as their companion. But cowboys have sported a rich history that most people don’t know, which involved working a ranch, tending cattle, and many other related tasks. All this talk of old cowboys being excellent ranchers makes us feel compelled to talk about ranches – and why they’re so connected to Texas. There have been ranches all across America, and in Mexico and Canada too, but Texas is certainly one of the main states you think of when you see one that’s well conditioned. 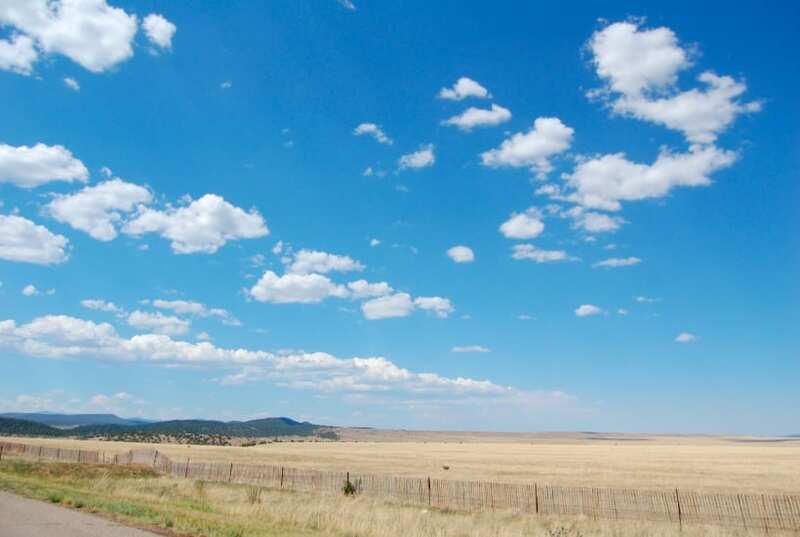 It’s an area of land created for the purpose of grazing livestock, and some of the best who did it were people from Texas. This might seem like a strange topic to put on this list, but bear with us here. Texans swear by the fact that their skies are frequently as blue as ever. Chicago is called the Windy City, New York is known for its cold, Seattle for its rain, and Los Angeles for its sun. Well, Texas is known for its clarity and sheer, cool, blue vibes, so come on down and check it out. We’re not saying they’re the only place like this – but Texans are sure proud of it. You didn’t think we’d go a whole article talking about Texas related things and not bring up a honky-tonk, did you? We’ve touched on country music, but when it comes to partying in classic Southern form, a good old honky tonk is where it’s at. These establishments generally provide country music and a certain style of traditional swing dance that folks love to groove to. It ain’t the club, but it’s sure as positive and upbeat as any music you’ll find. With all this talk of music, we knew we had to reference some of the all time classic Southern music icons that came from Texas. 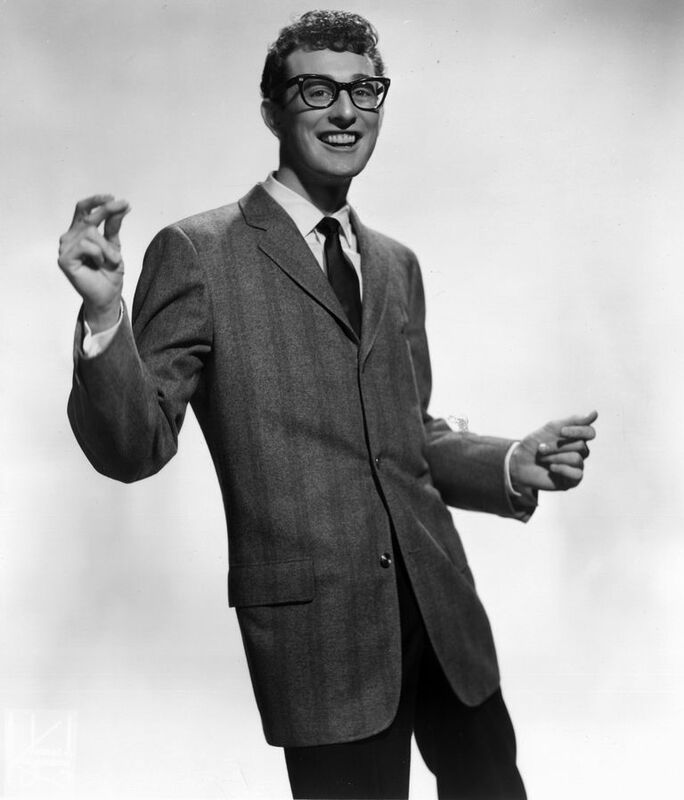 The list is endless, but Willie Nelson, Merle Haggard, and Buddy Holly are a strong few that come to mind. When you think of real country music, you think of those old school cats – the ones who played a big part in helping pioneer the genre. Obviously there are plenty of others, but these boys were some of the classics.